PHD is a website and graphic design agency based in Maidenhead in Berkshire, offering good design at an affordable price with friendly, down to earth service. PHD have been designing websites for over 10 years now for companies large and small. From small, local businesses to staff ordering portals for companies such as ITV, Santander and Hyundai/Kia. If you know exactly what you want, we can help you achieve the online presence your company needs. Alternatively, if the world of websites is confusing and bewlidering, we will talk you through the process in plain English and help you get the results you want. 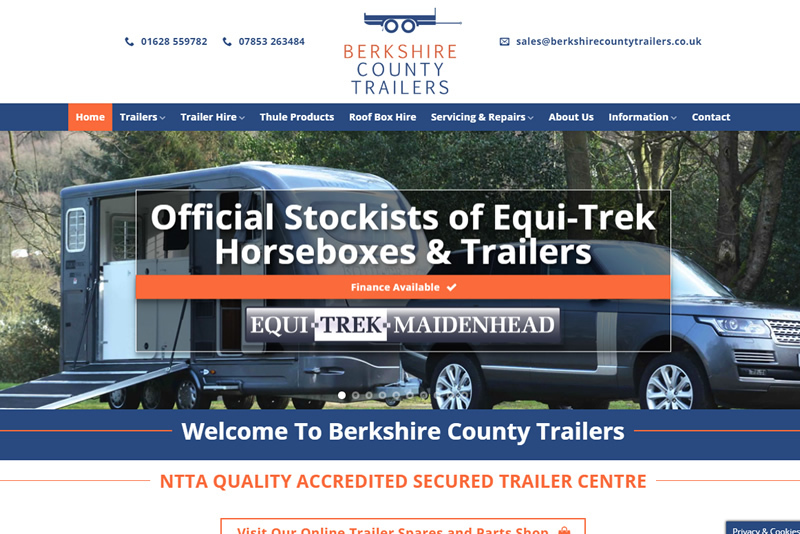 Berkshire County Trailers sell and rent trailers, horseboxes, roof boxes, roof racks and cycle racks as well as many parts and spares and are based in Taplow in Berkshire. 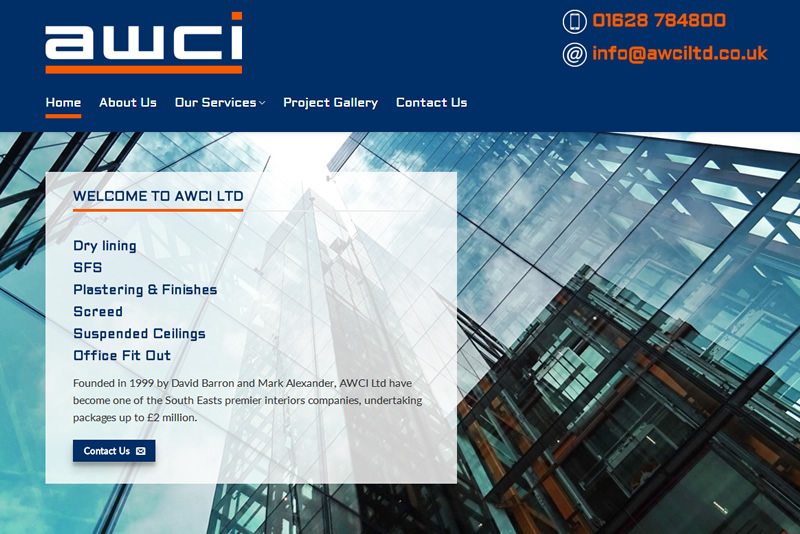 Formed in 1999, AWCI Ltd originally began as a suspended ceiling contractor but have now evolved into one of the South Easts leading Dry Lining, SFS, Plastering, Screed, Suspended Ceiling and Office Fit Out contractors. HG Projects Ltd is a Berkshire based family company that specialises in sliding door fitted wardrobes. All of the sliding doors are made to measure with customised inserts which are made to your needs. Ellis Landscape Services is a Gardening and Landscaping business based in Maidenhead Berkshire. We offer a comprehensive Gardening and Landscaping service including Fencing, Paving and Patio’s, Decking, Turf Laying, Artificial Grass (Astroturf) Laying and a complete Design and Planning Service. 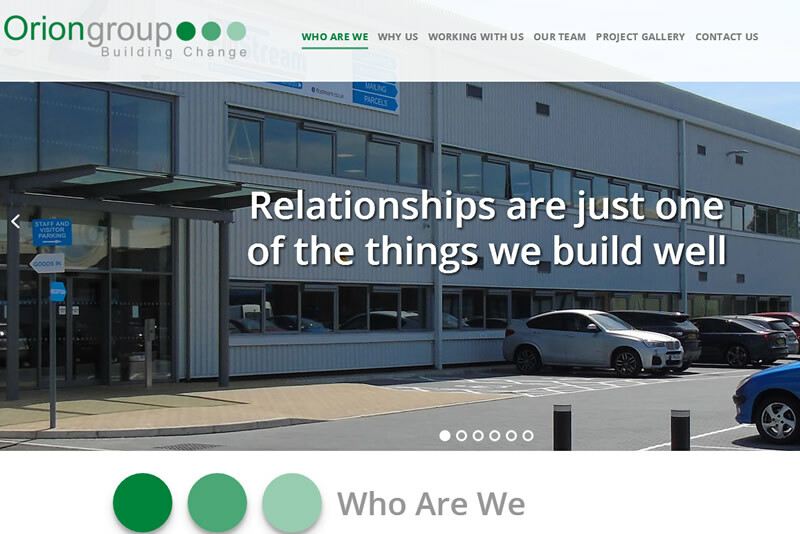 Orion Group is a main contractor specialising in building long term relationships with its clients, we do this by working on commercial office and industrial warehousing fit out, refurbishment and construction projects. 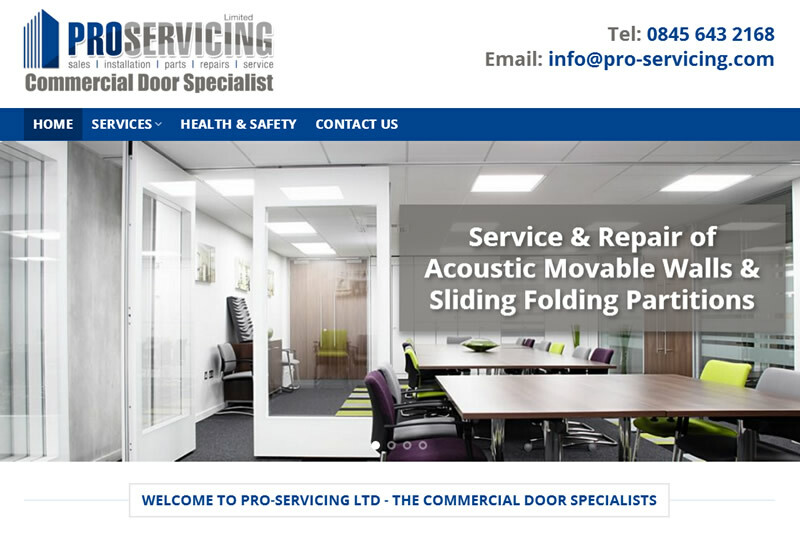 Pro-Servicing boasts an impressive 30 years combined experience in servicing, maintenance, repairs and installation of all types of commercial doors. We offer a professional quality service which includes Acoustic Movable Walls, Sliding Folding Partitions, Automatic Doors & Fire Doors across the UK. 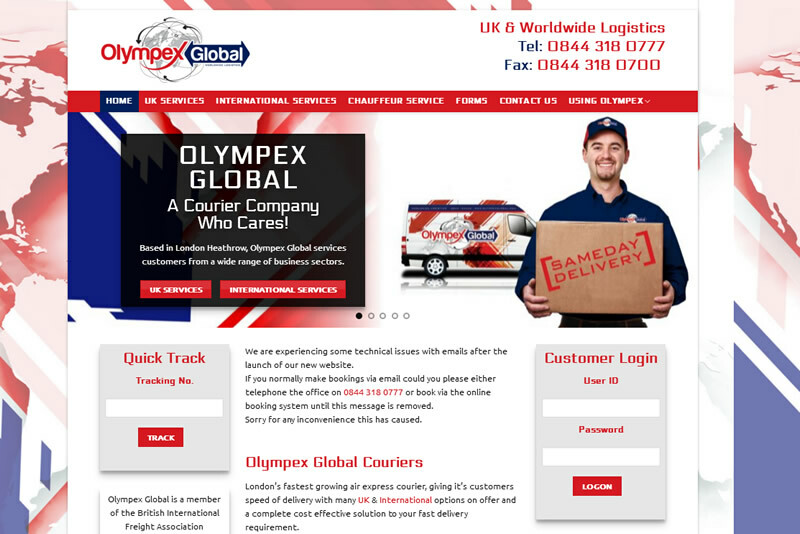 London’s fastest growing air express courier, giving it’s customers speed of delivery with many UK & International options on offer and a complete cost effective solution to your fast delivery requirement. 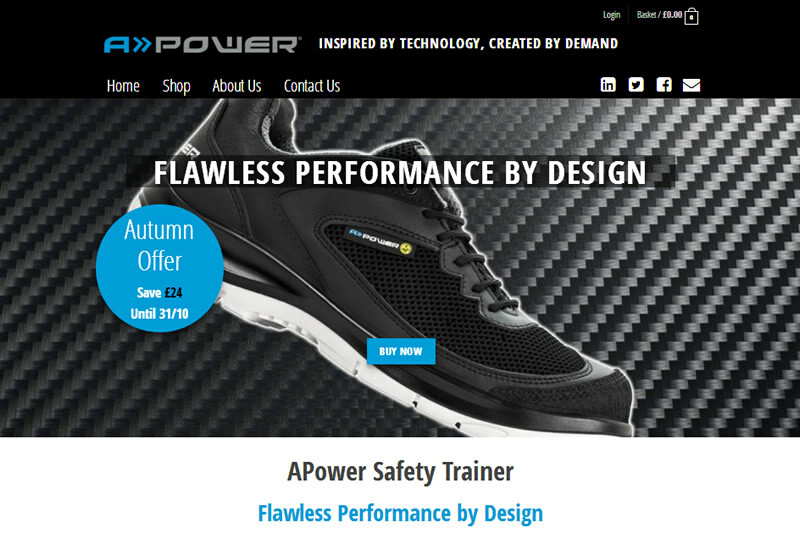 Developed in partnership with one of the world’s leading motorsport teams, the APower Safety Trainer has been designed and rigorously tested to ensure day long comfort and safety in the most demanding of working environments. Developed in partnership with one of the world’s leading motorsport teams, the APower Safety Trainer has been designed and rigorously tested to ensure day long comfort and safety in the most demanding of working environments. Full ecommerce website. Specialising in the world of Promotional Merchandise; the consultancy is based upon over 30 years personal experience, successfully leading and developing businesses within both the Distributor and Supplier sectors of this complex and frequently challenging market. All our websites are responsive, meaning the content adapts to suit the device you are using. Regardless of whether the site is viewed using a desktop computer, a laptop, a tablet or a phone, you can be sure you are delivering the best experience to the user. If this is the first website design project for you and your company, we can make the experience a stress free and pleasant one. We won’t baffle you with complicated jargon that you don’t understand, no marketing speak, just simple, friendly help and advice to get your site up and running as soon as possible. Our previous projects have been for a wide variety of clientele, from small local businesses up to multi-national corporations, from very simple single page websites to large ecommerce solutions. Please see our Portfolio page for links to some of the sites that we have designed. For an informal chat and a no-obligation quote please contact us and we will be back in touch with you as soon as we can. We are based in Maidenhead in Berkshire but our client base covers a wide area including Buckinghamshire, Surrey, Hampshire, Oxfordshire, Sussex, Essex, Kent and Wiltshire but we can cover anywhere in the UK. If you would prefer to have no monthly fees then we will design your website and charge you a single fee. You will need to purchase the domain and hosting yourself but we can help you with this process. Once the website is complete it’s over to you to edit or change the site however you see fit. If however, you would prefer us to look after your site, keep it updated, back it up, make changes and additions as you require it, then we can do this for a small monthly charge depending on your requirements. “We have worked with Paul on numerous web shop projects for our clients and he is always a very reliable and knowledgeable partner who produces on time and on budget end results that meet the brief entirely. “We have had the pleasure of working with PHD formany years now;during that time we have enjoyed a very professional, successful and friendly working relationship. PHD is based in Maidenhead in Berkshire and covers all local areas including Maidenhead, Slough, Windsor, Reading, Marlow, Henley, High Wycombe, Wokingham, Bracknell and all surrounding areas in Berkshire and Buckinghamshire. PHD specialise in Wordpress Website Design.